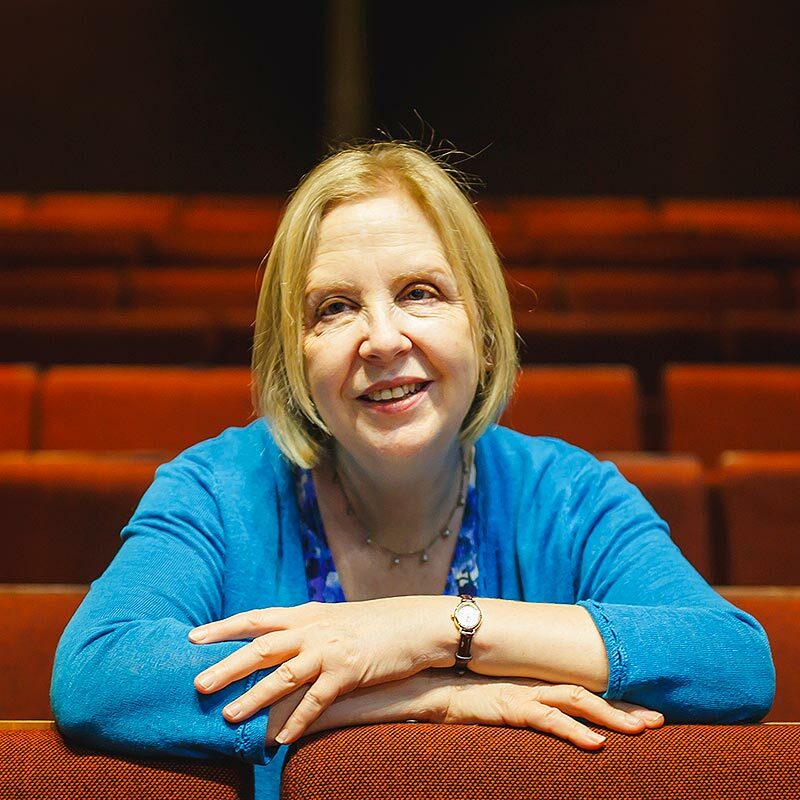 In Mark Ravenhill’s The Cane, directed by Vicky Featherstone with exactly the mix of ruthlessness and delicacy which the play demands, Edward (Alun Armstrong), the deputy head of the local comprehensive, is about to retire after 45 years at the same school. It’s a rare achievement these days to have dedicated a life to one job. But even as Edward’s wife Maureen (Maggie Steed) is preparing the celebratory send-off which includes a pageant (Ravenhill seeds several such telling details throughout the play) the school has been issued a damning Ofsted report, and children have begun gathering outside the house and lobbing bricks at the windows. When Anna (Nicola Walker), the couple’s estranged daughter, turns up—apparently by chance—it gradually becomes apparent that the family home is a place of secrets, with axe marks on the living room walls and something nasty in the attic. 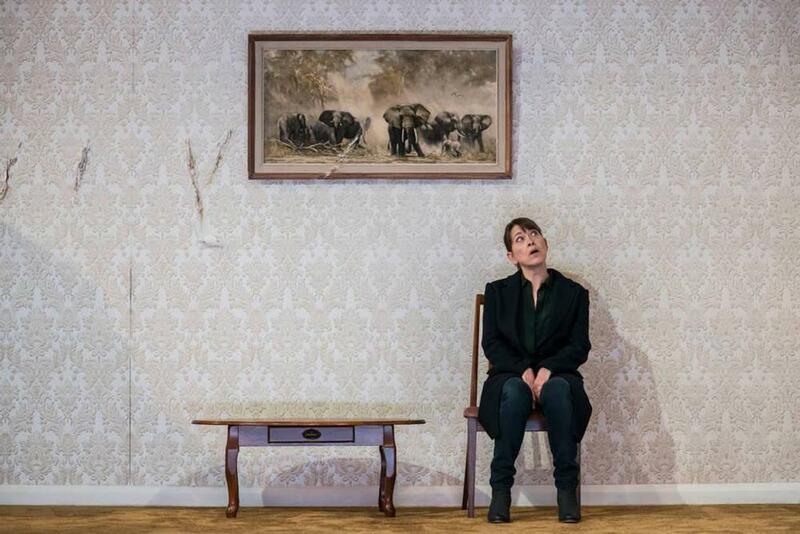 The Cane at the Royal Court Theatre. Photo by Johan Persson. There are thousands of elderly men (and some women) still alive all across the country who used corporal punishment on pupils before it was made illegal 30 years ago. Should they be made to apologise for actions which took place at a time when physical punishment was viewed very differently, both socially and by the law? If that was simply the question at the heart of Ravenhill’s three-hander (in which the expected headmaster, like Godot, never appears) it would still be gripping. But it is far knottier and slippery than that, constantly picking away at the relationship between mother, father and daughter to reveal the unexpected truths which lurk behind the shifting dynamic. Is Anna’s visit as unplanned as she says? Is Maureen quite the monstrous mother she appears? What is Edward hiding behind his genial exterior? Is the threat of violence as culpable as violence itself? In a peerlessly acted 105 minutes, Ravenhill keeps us on our toes, not least in the ambiguities around Anna, a damaged child and academy schools apparatchik, who talks about her father’s use of the cane as institutionalised violence against children, but is fervent in her belief that it is “best practice” to insist that children at academy schools follow “eyes forward” policies and move between lessons in complete silence. Maureen’s instinct is that when in a tight spot it’s always good practice to make a bonfire of the past. But even if you rid yourself of all the potentially incriminating evidence, somethings refuse to go away. If you try to paper over the axe marks, they still fester underneath. Chloe Lamford’s clever off-kilter design, with its partial staircase, peeling wall paper and high ceiling, offers unsettling hints that this is much more than a domestic one room drama, and it features a painting of rampaging bull elephants which suggests both the anger of men but also a whiff of colonial legacies, the Victorian attitudes that shaped us and are so hard to throw off. In The Convert at the Young Vic, it is colonialism, and in particular the way it uses language to oppress, which is examined. The play was first seen here at the Gate in 2016 but Ola Ince’s intense, atmospheric staging makes an urgent case for its revival. It’s 1896 and in the country we now call Zimbabwe, Jekesai (Black Panther star Letitia Wright), is fleeing a forced marriage. She is taken in by Chilford (Paapa Essiedu), an African catholic missionary with aspirations to be a priest. Renaming the girl Ester, Chilford sees in her the opportunity to gain another convert for Christianity. But although Jekesai embraces Jesus, she is increasingly torn between the church and her family and community, particularly as unrest about colonial rule intensifies. The play was, in part, inspired by Shaw’s Pygmalion, in which a cockney flower girl is taught to speak the language of the upper classes. Gurira’s play is sharp and funny in the way it shows how Africans are taught not just to speak the language of their oppressors but also mimic the clothes and manners too. Essiedu is both comic and tragic as the prissy but heartfelt missionary who longs to be more British than the British but is inclined to get his idioms confused. The question here is—who are the real savages? 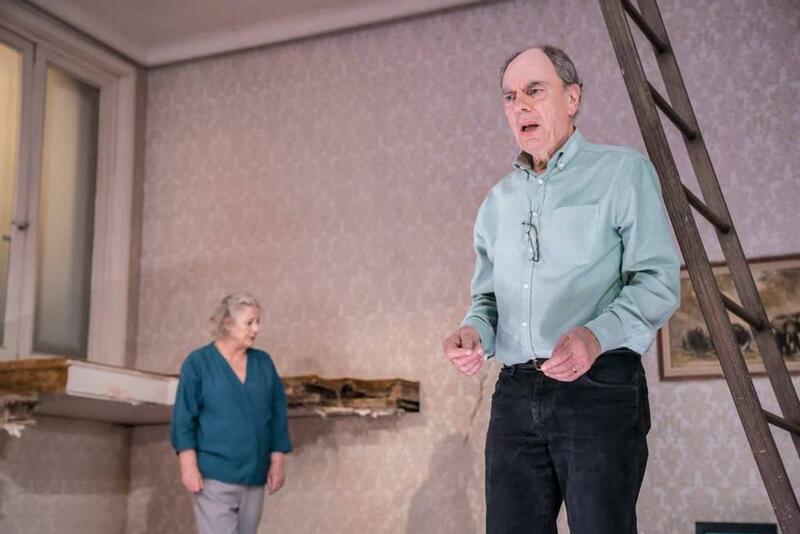 It’s a traditionally structured play and one which is unashamedly melodramatic, but it has undoubted power and—like The Cane—reminds that violence begets violence and the past leaves a mark that doesn’t easily heal. 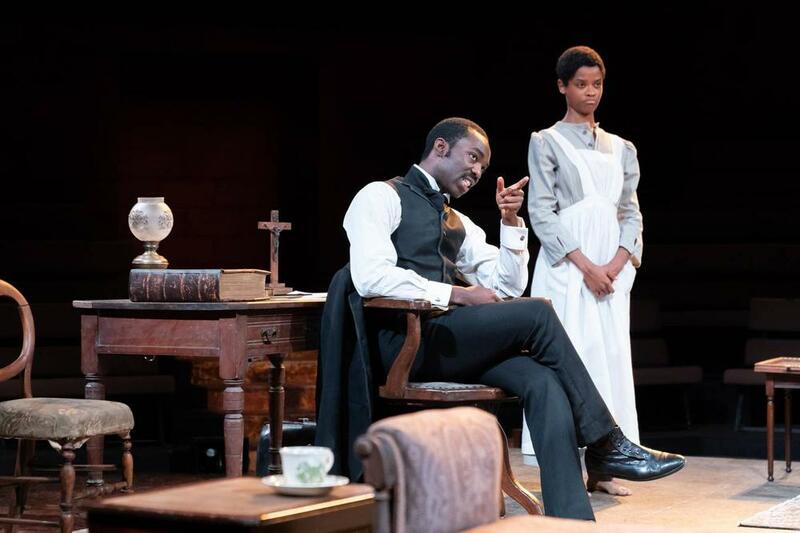 The Cane and The Convert both run until 26 Jan, at the Royal Court and Young Vic respectively. Tip: if you you want to see more plays by great writers like Mark Ravenhill and Danai Gurira, you can follow them on the Stagedoor app. Whenever they next have a show on in London, it will appear in your personalised What's On page.